Modern Exeter hotel accommodation located in one of the newest commercial districts of Exeter, adjacent to the Met Office. 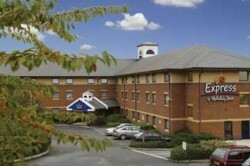 Express by Holiday Inn Exeter is within minutes of the M5 and is the closest hotel to Exeter International Airport. 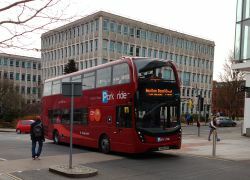 This makes the hotel an ideal location for the corporate traveller while the accessibility of the hotel coupled with the high quality tourist attractions in the area also make Express by Holiday Inn Exeter the ideal base, should you be visiting the area for either a leisurely weekend or short break. Express by Holiday Inn Exeter is the ideal solution for a weekend break for both couples and families alike. Within easy reach of the hotel you will find Dartmoor and Exmoor National Parks with their spectacular scenery. Also only a short drive away are both the North and South coastlines with the rugged coastline of North Devon being a stark contrast to the sandy beaches that can be found along the south coast. 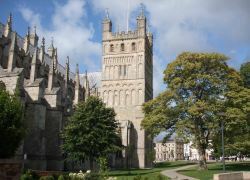 This Exeter hotel is also within a 10-minute drive of Westpoint Arena and Crealy Adventure Park. You will always find a warm friendly welcome when you check-in at the Express by Holiday Inn hotel in Exeter.